A custody evaluation is an evaluation conducted by a licensed psychologist that makes conclusions and recommendations concerning custody and timesharing. The evaluator/psychologist should follow the guidelines set forth by the American Psychological Association in conducting this evaluation. As part of the custody evaluation, the psychologist will likely interview the child or children, neighbors, and anyone else either parent believes would be beneficial to interview or who is involved in the case. Individuals can be interviewed more than once, if necessary. In addition, psychological testing may also be conducted. The end result will be a report submitted to the judge that will assist in parenting and custody decisions. One of the most emotionally-charged issues in a Florida divorce concerns child custody and timesharing. Florida has made efforts to equalize custody and timesharing of children in a divorce as well as to remove some of the stigma associated with being determined a “non-custodial” or “secondary residential” parent. Nevertheless, it is not uncommon for parents in a divorce to want to maximize the amount of involvement they will have in their children’s lives while minimizing the role of the other parent. When parents cannot agree on issues pertaining to child custody and timesharing, the court must step in and decide these issues itself. In doing so, the court is to make decisions that are in the best interest of the child or children. One piece of evidence the court may consider is a custody evaluation. is to follow the guidelines set forth by the American Psychological Association in conducting this evaluation. As part of the custody evaluation, the psychologist will likely interview the child or children, neighbors, and anyone else either parent believes would be beneficial to interview or who is involved in the case. Individuals can be interviewed more than once, if necessary. In addition, psychological testing may also be conducted. For example, suppose that Jose and Marcela are getting a divorce and cannot agree as to who will be the primary time sharing parent or how the two of them will share time with the children. The court appoints a psychologist to perform a custody evaluation. The psychologist will likely speak with the couple’s children in completing her evaluation. Those who may have seen Jose or Marcela parent may be interviewed, such as neighbors of the couple, the children’s teachers, and perhaps the parents of other children who play with Jose and Marcela’s children and who have seen Jose or Marcela interact with their children. Grandparents or extended family members might also be interviewed if either Jose or Marcela ask for them to be interviewed, or if the psychologist feels it would be beneficial to do so. The psychologist is supposed to be a neutral third party to help the court resolve a dispute. As such, the psychologist is expected to exercise independence in completing the evaluation and making his or her recommendations. It is important to remember, however, that the psychologist is not providing treatment to either of the parents or the children. What is the Cost of a Custody Evaluation and Who Pays for It? A custody evaluation can cost several thousand dollars, typically between $4,500 and $15,000. The court will decide which parent bears the cost of the custody evaluation or will (more typically) order that the parents share in the cost of the evaluation. The cost is highly dependent on the selection of a particular evaluator and what their credentials are. Many high end evaluators can cost upwards of $30,000. The projected cost and the budget of the two parties usually weighs in heavily in the selection. If the evaluator asks you to provide him or her with additional documentation or to schedule a test, be prompt in doing so. Remember that the evaluator’s job is to make an informed and impartial decision about what is best for your child or children. Above all else be courteous and respectful. Evaluators are human beings and therefore subject to all the weaknesses of human beings. An evaluator that does not like you will tend to see your parenting skills as substandard. How Can I Prepare My Child for a Custody Evaluation? Your child or children will likely be interviewed at least once as part of the custody evaluation (assuming your child or children are old enough to speak and communicate). Help your child or children prepare for their interview by explaining to them what will happen. Tell them that they will be meeting with someone who wants to know about their feelings and thoughts. Encourage your child or children to be truthful and honest with the evaluator. Do not encourage your child or children to provide specific answers (in other words, do not “coach” them). Instead, tell them that they should feel free to say what they really think and that they will not be in trouble for their answers. Reassure your child that the evaluator does want to know what they think but they will not be asked to choose which parent they want to live with. Nor do they have the final say in how much they see one parent or the other. Do not discuss the results of the evaluator’s report with your children or allow them to read the evaluator’s report. 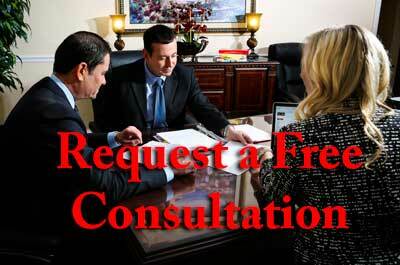 If you want to share the evaluation with your children, speak with your Ayo and Iken attorney first. What Will the Custody Evaluation Contain? Schedules or suggestions for reevaluations, if necessary. What If I Do Not Agree with the Custody Evaluation? Judges typically rely on reports like custody evaluations because they are seen as impartial and professional evaluations of the parties and situation before the court. While courts are free to disregard a custody evaluation (and may not even consider a custody evaluation at all if it is not properly presented to the court), courts typically give a great deal of weight to the evaluator and his report. Nevertheless, the custody evaluation is still only one piece of evidence on which a court may rely. Other reports and evaluations can be requested or performed. For instance, in some cases the court may appoint a guardian ad litem for your child or children. A guardian ad litem is often a volunteer whose role is to advocate for the best interest of your child or children. Although they do not have to have any certain professional background, they can be lawyers, teachers, counselors, or others who have a desire to advocate on behalf of children. A guardian ad litem’s report that differs from a custody evaluation may present the court with a difficult question. In such a circumstance, the court may ask for more evidence to be collected and evaluated before ordering a specific parenting plan. Although you may be tempted to bring in friends and family members to refute the recommendations of a custody evaluation, know that the court is likely to give greater deference to the evaluator’s report than your family and friends. This is simply because the evaluator is viewed as an impartial individual, whereas your family and friends are obviously partial to your side. If you do not agree with the custody evaluation, contact your attorney for ways in which the evaluation may be challenged. When budget allows – we like to bring another psychology professional to the case to refute findings of the first evaluator. What If I Feel the Psychologist was Biased Against Me? The psychologist appointed to develop the custody evaluation is, in theory, supposed to be a neutral third party. His or her recommendations are not supposed to be influenced so much by what one parent or the other wants as much as what is in the best interest of the child. Florida Statute 61.122 states that a psychologist ordered to prepare a custody evaluation or parenting plan recommendation is presumed to be acting in good faith so long as the recommendation was arrived at through standards a reasonable psychologist would have used in making such recommendations. Thus, so long as the psychologist uses generally accepted practices in preparing the custody evaluation, there is a presumption that the psychologist was acting in good faith and not with animus against one parent or the other. The existence of a presumption means that a parent who believes the psychologist acted inappropriately bears the responsibility and obligation of presenting evidence of this. If you have evidence, you can file either an administrative action or a lawsuit against the psychologist. Weigh this option carefully. It is generally disfavored by all involved. Administrative action: If you decide to file an administrative action, you must include your name, address, and telephone number as part of the complaint. Your complaint will also include information and facts about the psychologist’s conduct that demonstrates that he or she did not act in good faith in coming up with the parenting plan. If you are successful, administrative action may result in administrative penalties for the psychologist, such as a loss or suspension of license and fines. Lawsuit: You may also be able to file a civil lawsuit or criminal report, depending on the circumstances. Before you do, you must petition the judge presiding over the case to excuse the psychologist and appoint another. The judge will not do this unless you show “good cause” – that is, some evidence that tends to support your claim that the psychologist was biased or otherwise did not act in good faith. The judge would then appoint another psychologist. If you are successful in suing the original psychologist, you may be able to recover compensation in a civil case, or the psychologist may be punished with fines or imprisonment if a criminal case is successful. Difficulty Level: Be aware that you will probably fail at achieving results through the above two actions. They are desperation-moves. Treat them as such and only consider them as a last resort. In some cases, parents are able to resolve most, if not all, of the issues present in a divorce, including issues of timesharing and child custody. In those circumstances, a court is not likely to order a custody evaluation to be conducted but will, in most cases, follow the agreement of the parties. It is only where the parties cannot come to an agreement regarding timesharing that the court will need to step in and resolve the issue. Even then, a custody evaluation may not be ordered. But if the court is unfamiliar with the parties and situation and needs more information to create a parenting plan, it is likely to order a custody evaluation. If you find yourself ordered to cooperate with a custody evaluation, it is helpful to know the purpose and process of these evaluations. Your experienced family law attorney at Ayo and Iken can also help you and your child or children prepare for the evaluation. In the end, a thorough evaluation will provide the parents with a workable parenting plan that is also one that best meets the needs and desires of the children.